The restoration will be done blow-by-blow on the internet in a ‘blog’ and the written and filmed records will be produced a) as an e-book and b) as a hard-copy, printed book with a multi-media interactive DVD including any video-footage shot during the restoration. While restoring the bike, I shall be making a 1/9 metal model of the KSS in question to museum standard in all detail. These models will be available as kits and a few will be ready-made-up for display if required, plus a limited edition of 10 is planned in sterling silver. SO, to the bike. I am (was) looking for an unrestored Vintage Bike or box(es) of bits with a view to ending up with a rigid frame, 350cc or 500cc single-cylinder with overhead valves with either teles or girders at the front. Bitsa is OK (no-one should get too upset about ‘originality’ in that case). I am looking for an oily-rag (or worse, just not so bad that EVERYTHING has to be replaced!) 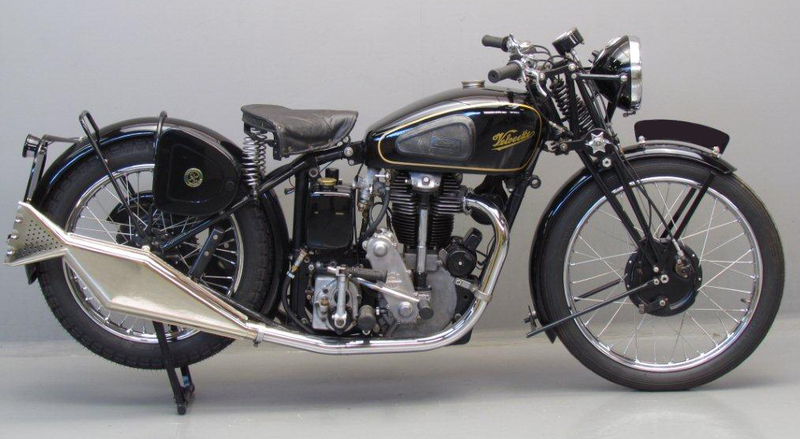 AJS, Ariel, BSA, Matchless, Norton, OEC Triumph or Velocette. I need something that can be restored in a relatively short space of time (i.e. not over years, so the major parts should please be there) as the book/blog should keep moving at a reasonable pace. Unfortunately, nearly ALL the Bikes that I have seen for sale have already been restored, which is no use to me at all! I have nothing against restored bikes, don’t get me wrong, however, for the purposes of ‘education’ or demonstration, something ‘in need of some attention’ (horse-trader-talk for rusted-to-b*gg*ry) would be more appropriate! Basket-cases also welcome, especially if a few of you are prepared to collaborate to throw parts into a box of bits for me to make up into a bike, that would be even more fun! Would prefer a 500 for those long touring trips (er… don’t have many short trips in Aussie!). I am still very much open to offers of prewar MSS bits and any parts to help me complete my KSS project, anything, really anything!! Anyone with something, anything, that might be suitable, actually any make, please contact me! !